By Fahad Khan in E-Commerce. Updated on April 17, 2019 . Marketing campaign by various big organizations rely heavily on emails that are sent to the target customers and audience. It is really important to preview these emails before sending them out because email protocols are not adequately intelligent enough. 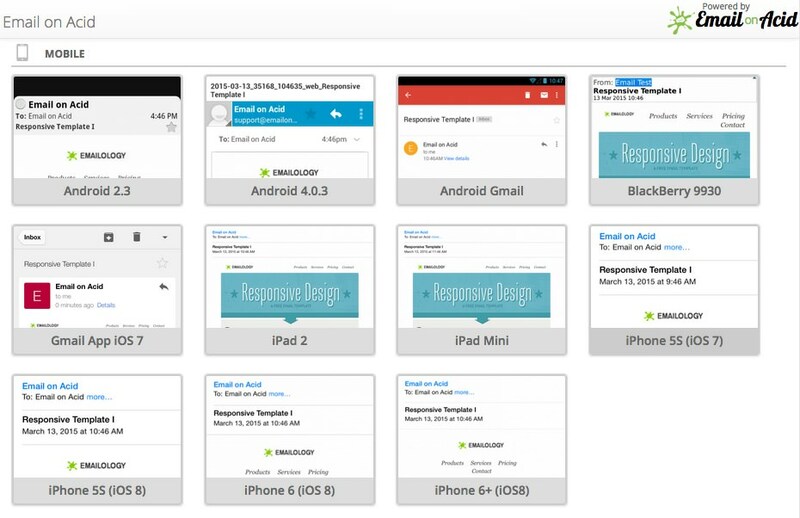 Different email clients on different devices display emails using their own standards. The result is an email with an unpredictable and dissociated appearance reaching the inboxes of many. To avoid this, we need to test it rigorously. There are various email testing and rendering services that come with different features, sizes and pricing plans. These tools allow for emails to be previewed in various popular environment and inboxes to get an idea of how they would look. Here are 7 premium services to help you get started. Email on acid is a famous email testing and previewing software which allows users to preview an email on over 112 combinations of popular email clients and mobile phones. Also included is a spam test to identify which emails go to the spam folder, and code analysis to check the support of email clients for each line of code. Email marketers will also be able to benefit from their library of tips and tricks where they also address identified bugs and their solutions. Litmus comes with an interactive and real-time design with all required email previewing tools. It runs comprehensive testing on various aspects such as color blindness test, no-image view, plain text check, mobile preview and more. 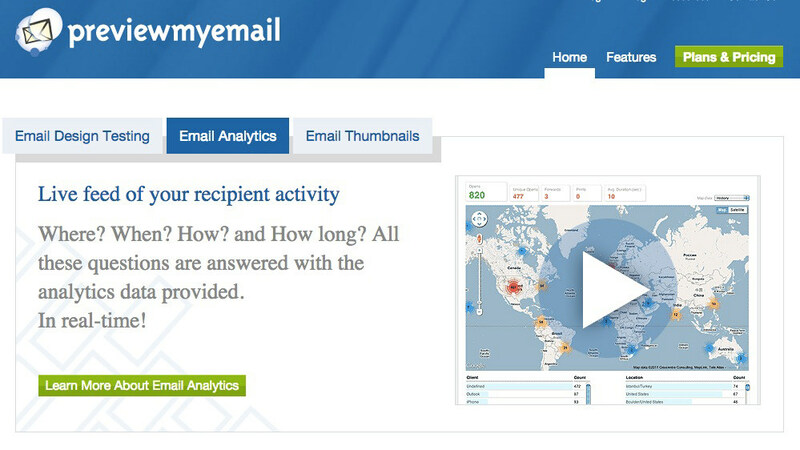 This tool also runs link validation, code analysis, optimizes your email subject line for you and works well with your existing emailing software. 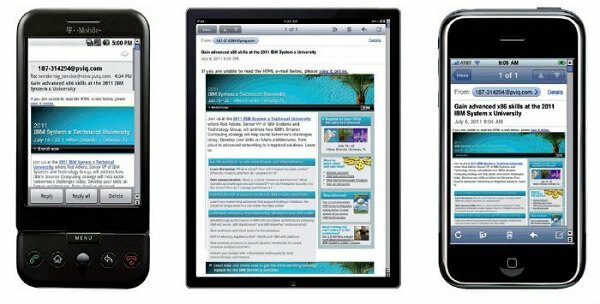 IBM Email Optimization (formerly known as Unica email optimization) is a noteworthy service to design and measure the efficiency of emails to be sent. Aside from previewing emails in environments such as AOL, yahoo, Gmail and mobile devices, IBM email optimization also lets you know if your IPs are blacklisted on any of the email server. It also lets you test how the images in the email will appear at the receiving side. Though this software is premium but it could not be purchased online. An email testing and previewing service which supposedly takes real screenshots of emails in different email clients both mobile and desktop then stores them in a central database hence ensuring no data gets lost. The service enables to preview an email over 19 desktop email apps, 25 web based email apps and 4 mobile email apps. Contactology is the simplest to use service in this list because at the site, you are presented with a 3-step guide for the email simulation feature of the complete software package. The full-fledged service covers email creation, analytics and optimization. Alongside email preview on more than 30 different clients (including mobile), Contactology also has features to help you determine the quality score for your email contents, automatic (triggered) messaging and more. Inbox Preview is a cost-effective email previewing service with an interesting costing strategy. But before we get to that, do know that with Inbox Preview, one can preview the email on more than 20 email clients including web-based, desktop and mobile. It also comes with rigorous spam testing, a no-image view, and testing on different browser variations. Used by more than 400,000 companies, Campaign Monitor lets you try all its features and will only charge you once you start an email campaign. Lyris HQ is a cloud-based integrated email software featuring email testing as one of the tools in the package. The product is built for enterprise scale digital marketing and have advanced delivery management console to optimize email reach and engagement. The tool is really allows previews of emails in more than 30 different clients and cell phones, to check blacklisting of sender’s IP, and shows the results of past emails reaching the receiver’s inbox.